Wellington-based "cloud only" consultancy joins SAP specialist Soltius as a kiwi AWS MSP. Wellington-based API Talent is officially New Zealand's second Amazon Web Services managed service partner, following SAP specialist Soltius, which achieved official recognition in May. The new MSP, which was only founded as recently as 2014, counts more than 70 customers, including Area360, BNZ, Wellington Water and NZQA, as customers. It is also a specialist in creating APIs (application programming interfaces) for customers and using them in AWS. “API Talent has always been laser focused on delivering the best solutions possible for our customers and we feel that this accreditation really confirms our processes and capabilities on AWS," said Wyn Ackroyd, CEO of API Talent. The AWS MSP programme assesses a provider’s ability to set up, migrate and manage cloud infrastructure and applications through a comprehensive third-party audit. MSP status recognises a partner's ability to help customers drive innovation and disrupt their markets using cloud computing, evidenced by strong capabilities in areas such as DevOps, security, onboarding processes, service management, support, legal and incident management. “The MSP accreditation shows how far we’ve come in the 18 months since we first started to build this capability internally,” API Talent CTO Seb Krueger said. Ackroyd said the company works with all kinds of companies, from small start-ups to large enterprises. It already services BNZ and Wellington Water as a managed service provider and has also worked with Xero on a number of projects. "AWS is just incredible: the low barrier to entry, the tools, the services and the potential cost savings, but a lot of companies are looking to do that themselves," Ackroyd said. "You can start developing an app or you can start doing something on AWS and you've got all those notions and tools of failing fast and being innovative. That's something that one person can do in their spare time. "But a managed service, if you need 24-hour support or you want to make sure you've got governance over your processes, that your cost isn't blowing out, that's where you need experience and depth. That's one of the areas we see customers getting immediate benefit." Ackroyd said API Talent offers a sophisticated service catalogue for customers to choose from. 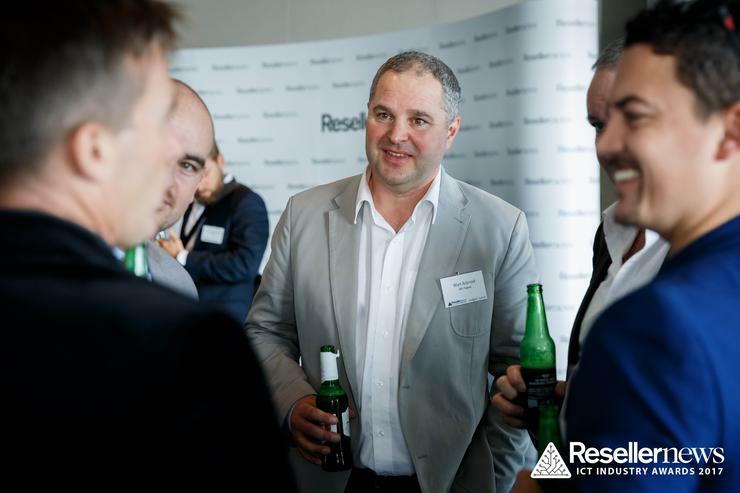 Last Thursday, the company was named winner in its category of the Deloitte Fast 50 in the lower North Island area - it also won a rising star partner award from AWS last year and is a two-times finalist of the Reseller News ICT Industry Awards. "API Talent has a history of delivering great outcomes for their customers and in achieving the AWS Managed Services Competency they have been able to build a comprehensive Next Generation Managed Service (NGMS) that will extend the value provided to customers," added Tim Dacombe-Bird, country manager of AWS New Zealand. "NGMS provides an assurance to API’s customers that their infrastructure is being managed, cost optimised and evolved in keeping with AWS rapid pace of innovation, allowing customers to capitalise on the new AWS functionality as it becomes available." In addition, Lukasz Zawilski, CIO of NZQA described API Talent as a "cloud-only consultancy", meaning that they aren't burdened by a legacy on-premise business model. "They are able to fully harness the power of the AWS offerings and work with us to create new cloud-native solutions which deliver significant benefits," he said.